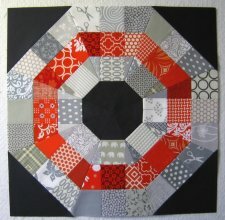 If you like modern quilting you're going to love today's block! This large block uses tons of 2.5" squares, so it's ready for all your scrappy bits and pieces. 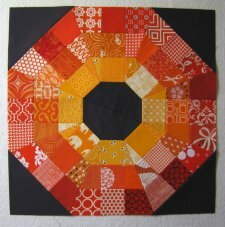 Isn't this a beautiful block? 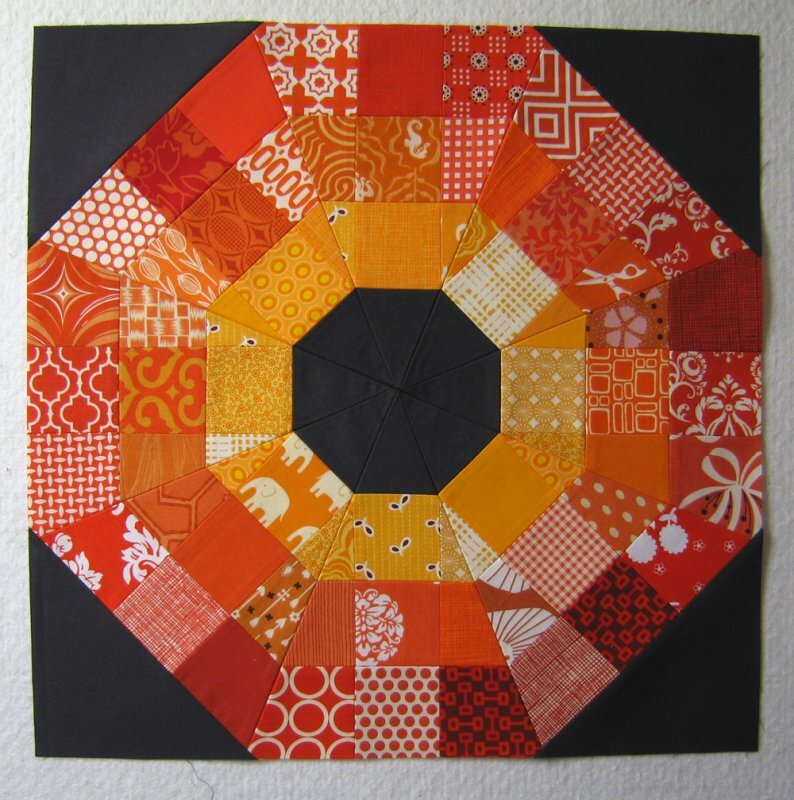 This block design was based on an amazing pillow designed by Heather Bostic, and Elizabeth Hartman used that as the basis for this full patterned block project. Enjoy! View the original pillow project here.